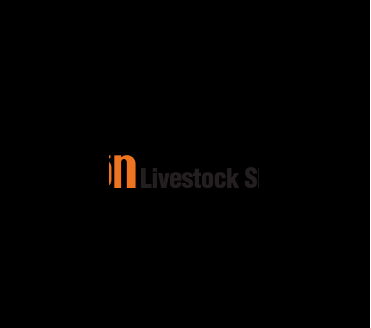 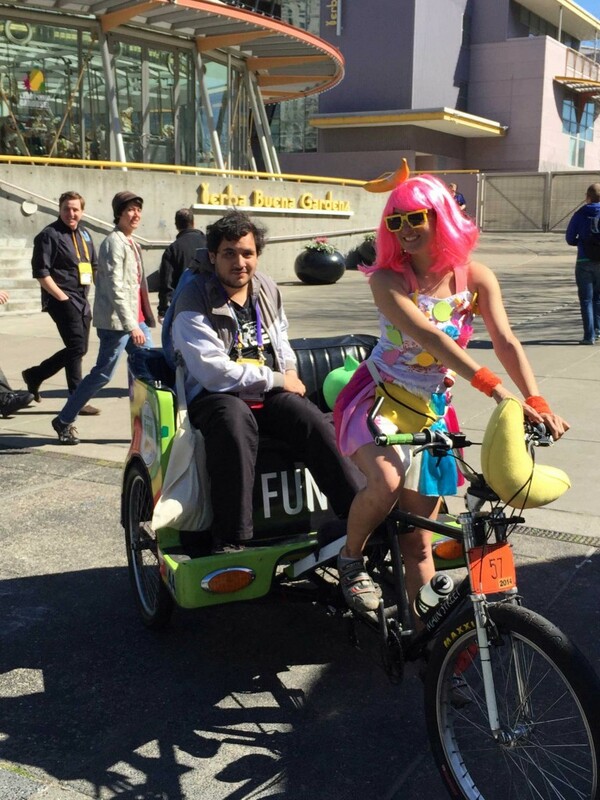 Portfolio Categories: Entertainment and Tech. 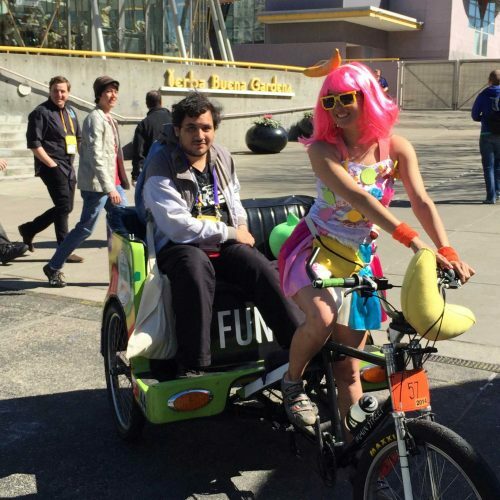 GDC attracts both developers and gamers, many of whom dress up in costume and are looking to have fun while working at the convention. 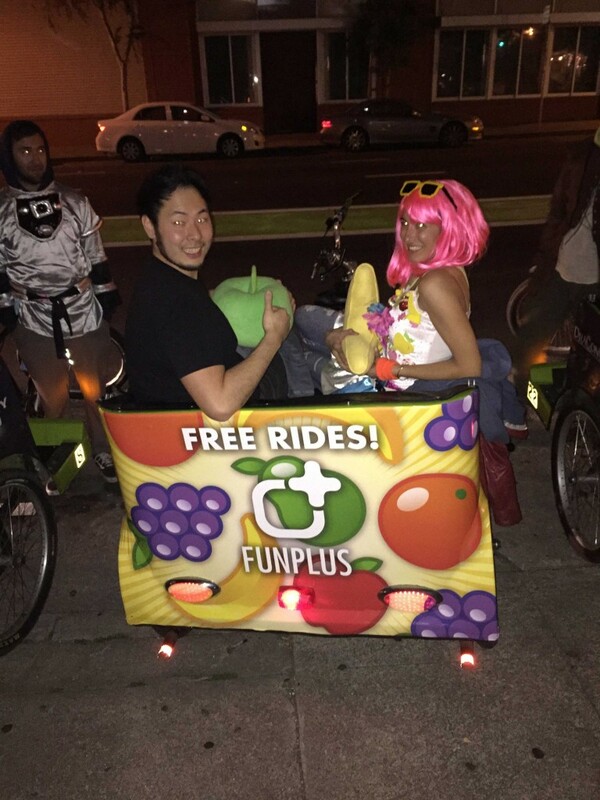 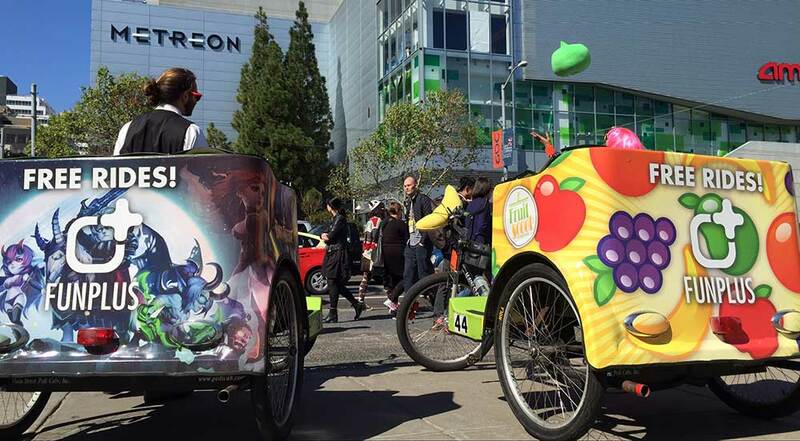 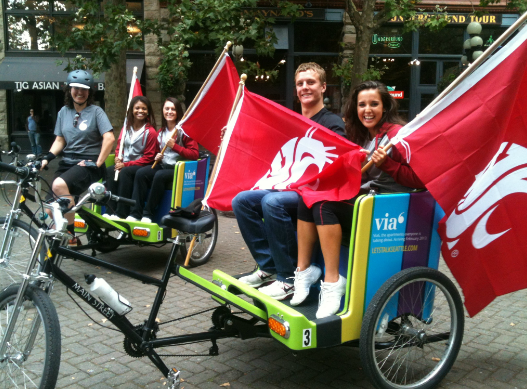 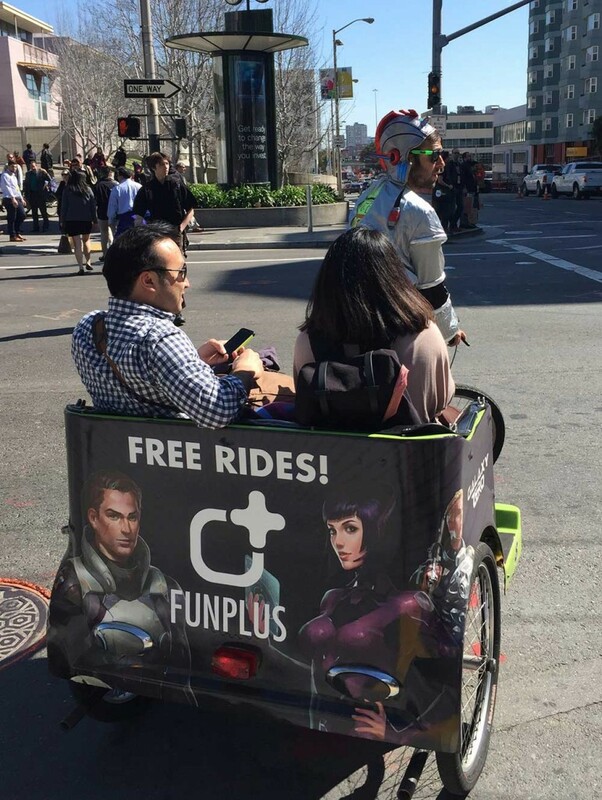 FunPlus wanted to grab the attention of these unique convention-goers and called upon Pedicab Outdoor to help execute. 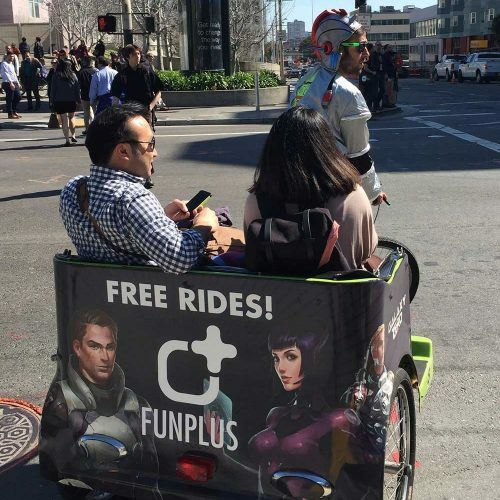 During the first day of the campaign, the drivers’ main focus was to inform and educate GDC attendees about the pedicab service that FunPlus was sponsoring. 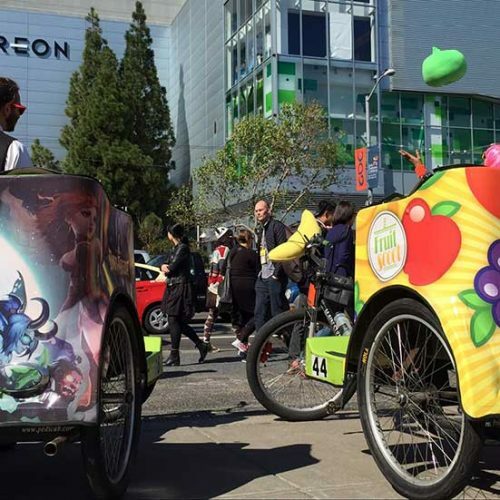 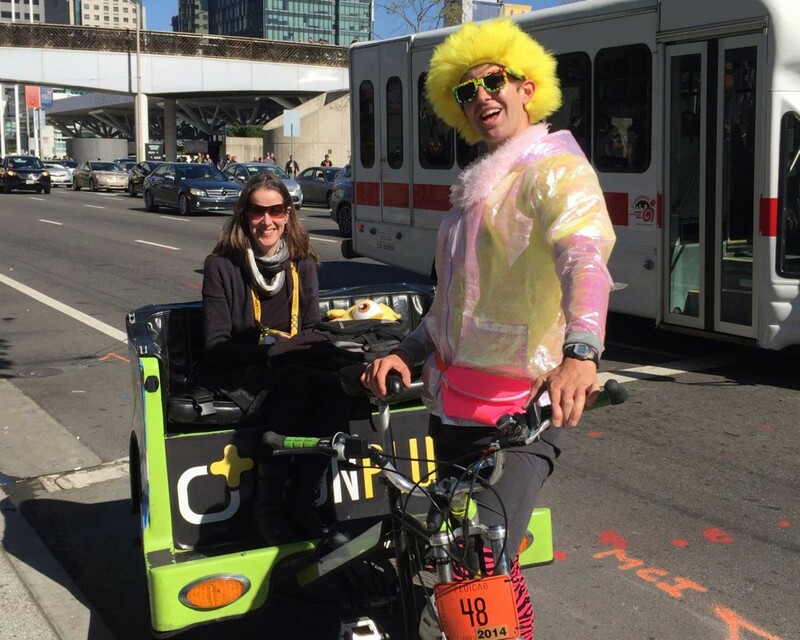 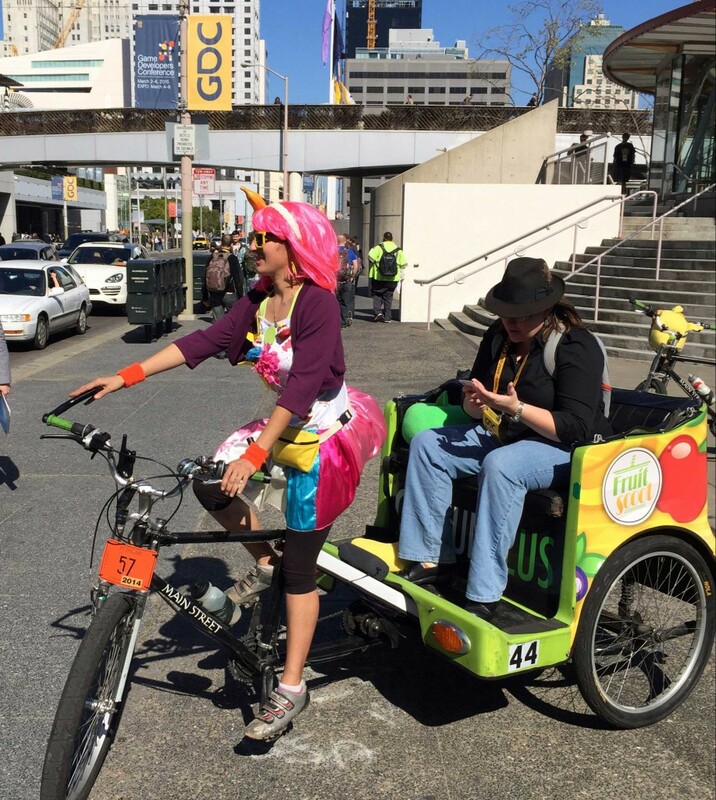 As attendees exited Moscone Center, they were greeted by pedicab drivers who offered them a complimentary gum ball, and once having their attention, the driver would also offer a free ride. 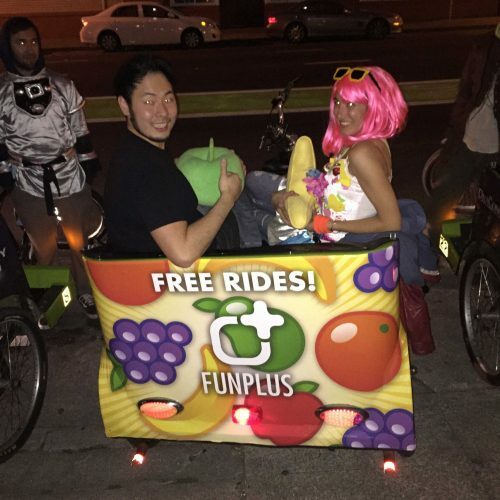 These attendees in particular seemed pleased with the spectacle and whimsy of the pedicab rides. 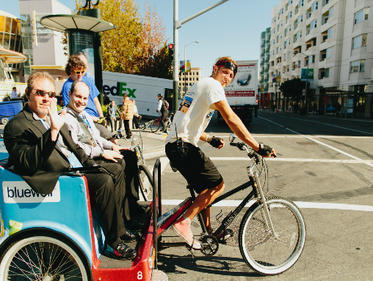 During the second day of the campaign, more GDC attendees had heard about the complimentary rides and drivers noticed an increase in ridership compared to the first day. 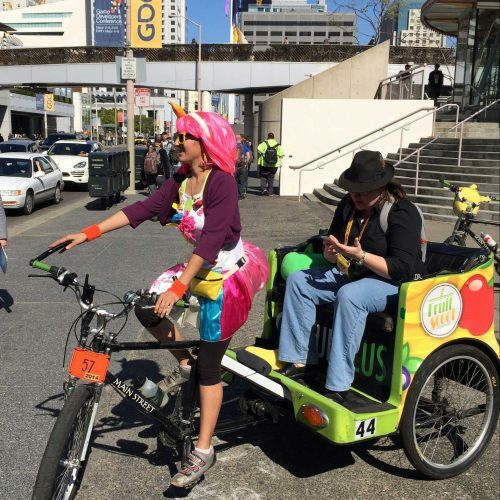 Passengers realized how convenient and fun the pedicabs were! 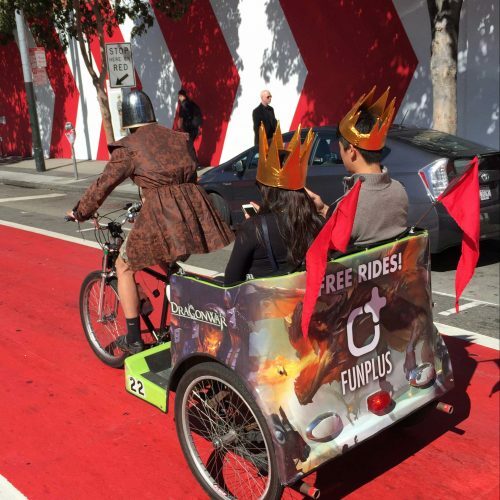 By the third and fourth day, many of the passengers were repeat riders who liked the experience. 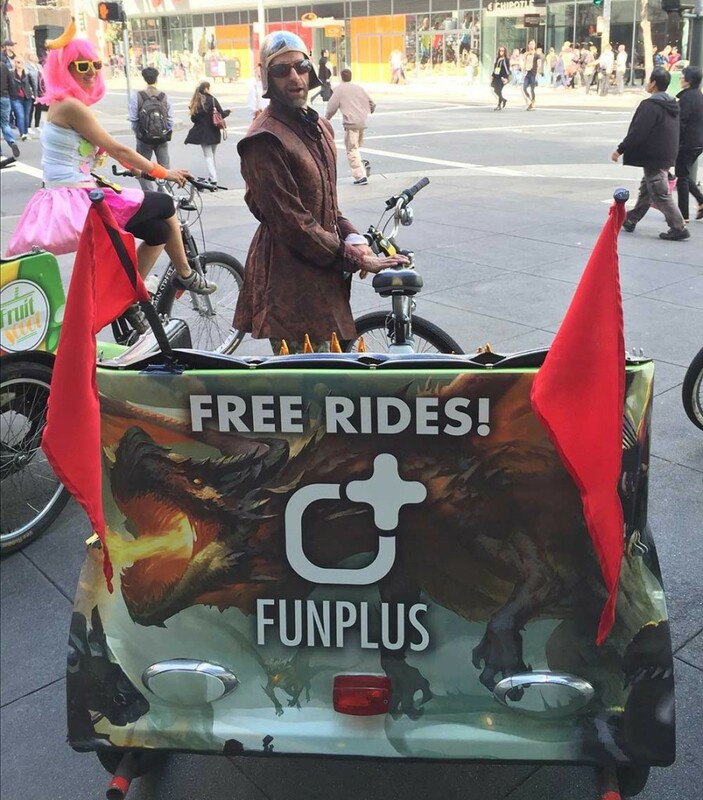 They also helped to spread the word about the FunPlus Pedicabs to their colleagues, who then became new passengers. 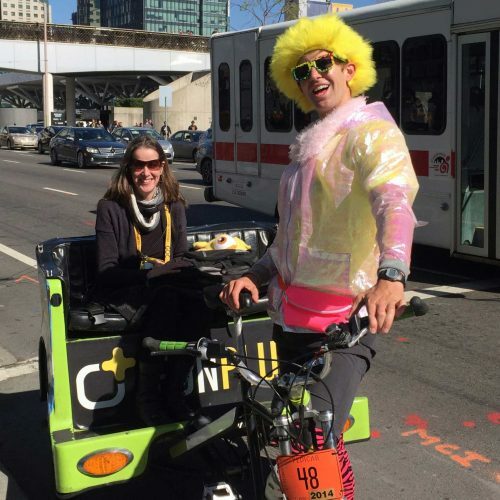 The pure spectacle of the decorated pedicabs and costumed drivers generated interest in the campaign like we’ve never seen before. 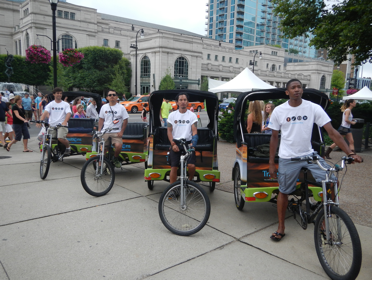 Droves of people came up to ask for photos and inquire about the campaign. 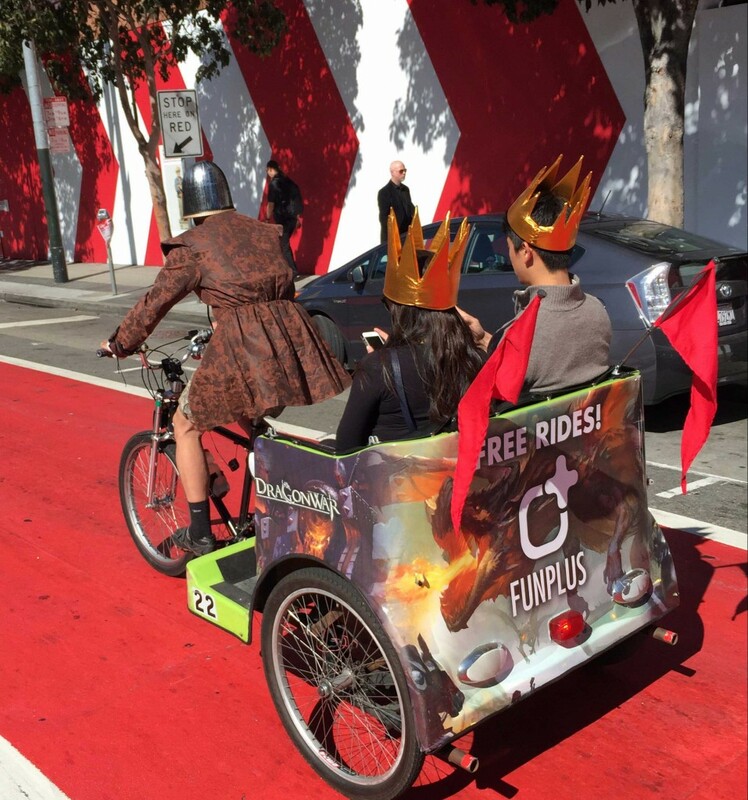 People remarked that the drivers “looked like Mario Kart characters” and that they “loved the concept.” The unofficial slogan of GDC is “F#$&! 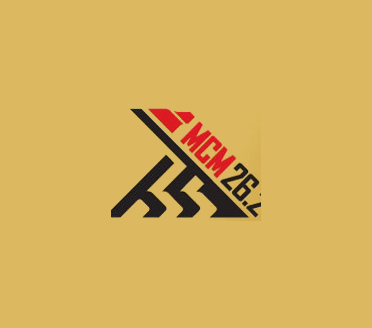 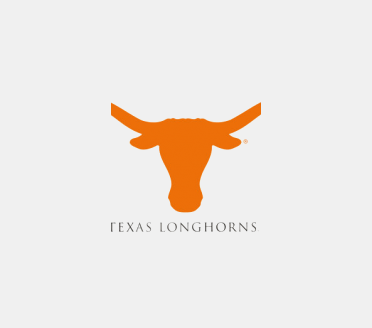 @ Amazing!,” which was emblazoned on the bright yellow convention badge, and also a common exclamation from passengers! 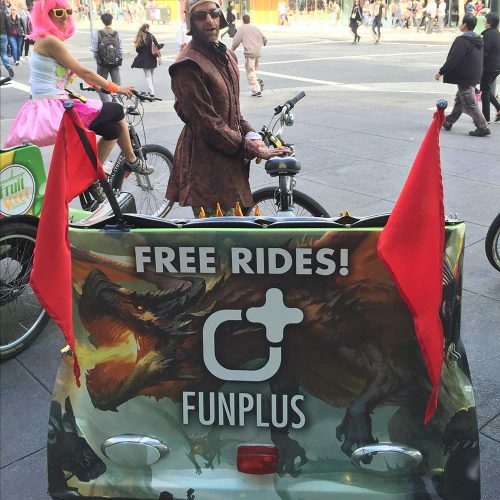 Overall, nearly every pedicab passenger had something positive to say about their experience, and most expressed gratitude towards FunPlus for sponsoring the ride.